The Boot to Qt software stack provides a system image (<target-device> Linux System) and a toolchain (<target-device> Linux Toolchain) for each target device. 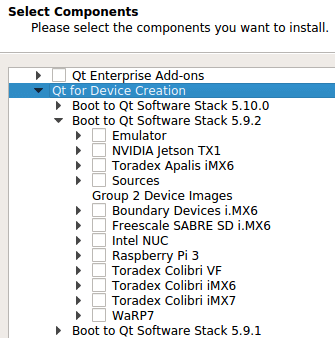 The system image contains the Boot to Qt software stack. The toolchain is required for building and developing applications for the target devices.